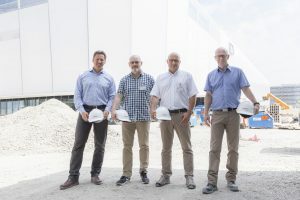 For the Mall of Switzerland in Lucerne, R&M, together with Swisscom, came up with an innovation: Decentral building entry points and FO access for tenants within the building are united in one access platform. That makes fiber-optic access simpler. 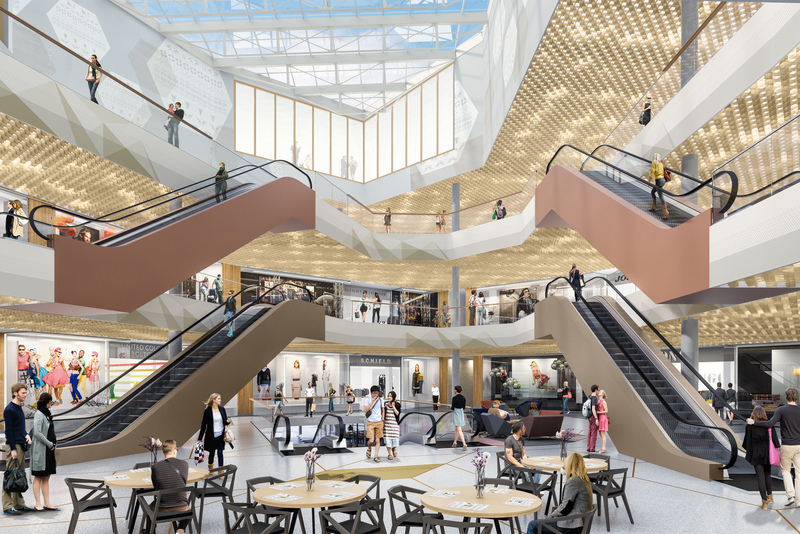 In large office blocks and building complexes, such as the Mall of Switzerland, the question is always how a telecommunications provider can connect the numerous tenants quickly and efficiently to its public FO network. Swisscom was looking for a solution that would bring the access point as close as possible to the tenants. For this purpose, the separation between the building entry point and structured building cabling was to be broken down. Decentral building entry points (BEP) and optical termination outlets (OTO) should be merged to minimize installation. 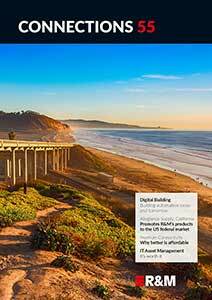 R&M developed the new access platform for Fiber to the Floor and smart buildings: OTO@BEP. 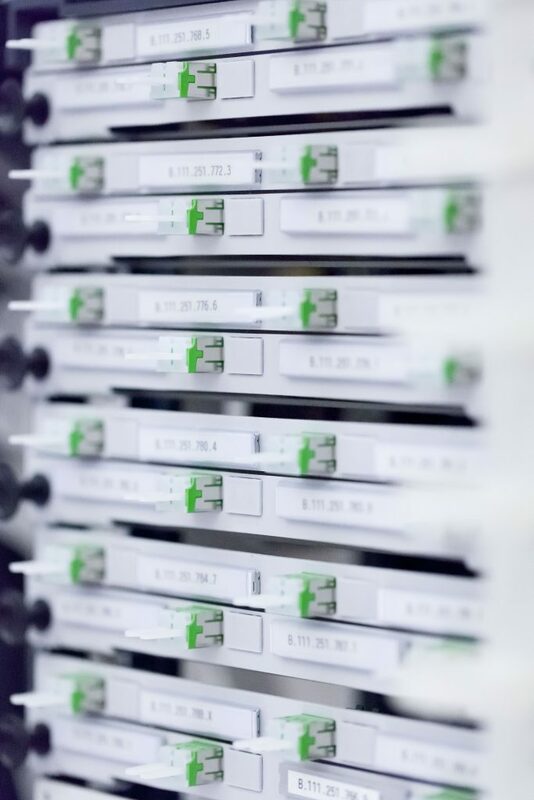 In a wall rack, it unites newly developed patch inserts, which act as OTOs, and a distribution module for fiber, splice and splitter management that works as a BEP. The OTO@BEP minimizes effort for the network operator. It can provide the transfer points and a sufficient number of OTO outlets on the floors in advance. This does away with the need for the specification and realization process per customer and optimizes access availability. The ordering process is massively reduced. At the same time this solution facilitates an installer’s work. 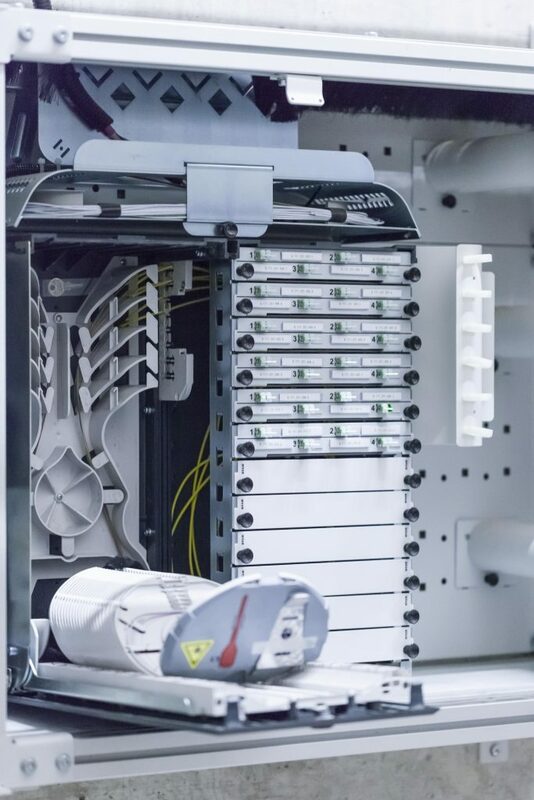 The effort involved in splicing the optical fibers is minimized. The installers can now start with the final assembly of the cables from outlets installed and activated in advance. 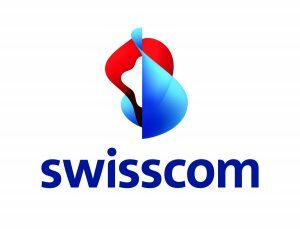 For tenants within the Mall, Swisscom will be able to provide bandwidth of up to 100 Gigabits per second in future. Redundant fibers are available everywhere in order to enable access for other network operators and service providers. 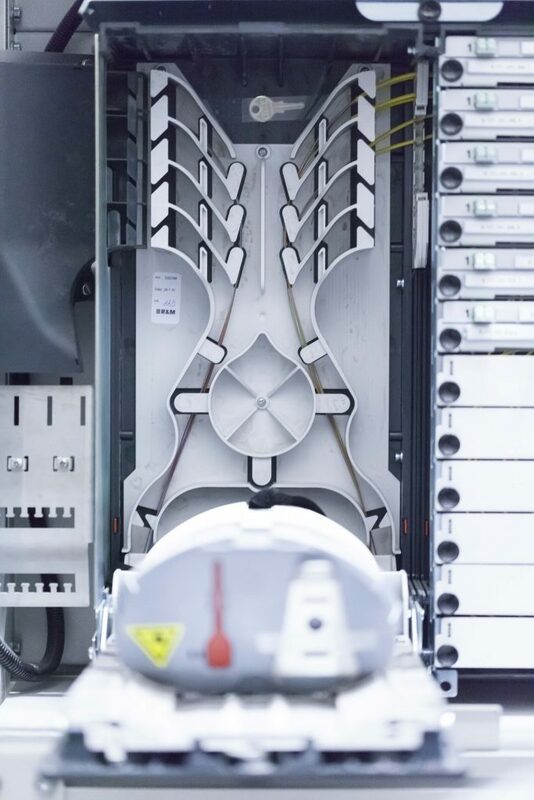 This Fiber to the Floor concept can now be transferred to similarly complex key projects and smart buildings.